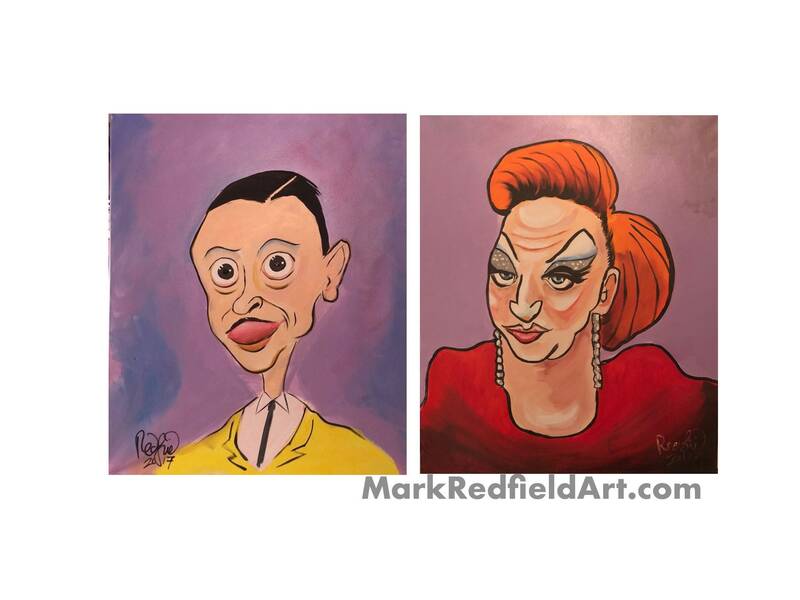 John Waters and Divine paintings (2017) by Mark Redfield. The artist is offer two 20x24 unframed cartoon paintings of two Baltimore legends—sold together at one low special price! Both paintings of these cinema legends are acrylic originals, and not reproductions or prints. Sold unframed and in the US only. Shipping and handling charges include additional special packaging for protection, and insurance for shipping in the US via USPS. HERE ARE DESCRIPTIONS OF EACH INDIVIDUAL PAINTING. "John Waters" (2017) by Mark Redfield. 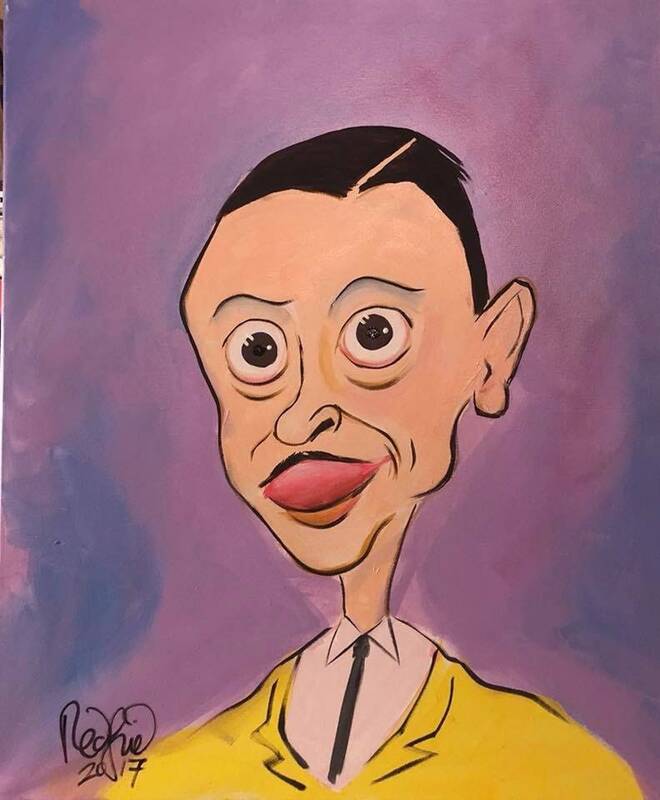 This cartoon of the great American filmmaker John Waters is an original painting by the artist, and not a print or reproduction! This original painting is sold unframed. The shipping cost covers postage, insurance, and specially made foam board shipping container to protect the art. Thank you for your support! Every dime from the sale of these cartoons and paintings are going directly to Mark Redfield’s recent, mounting medical bills. Please note : Etsy/Patterns is now adding sales tax. Commissions are very welcome! Contact the artist. "Divine" (2017) by Mark Redfield. 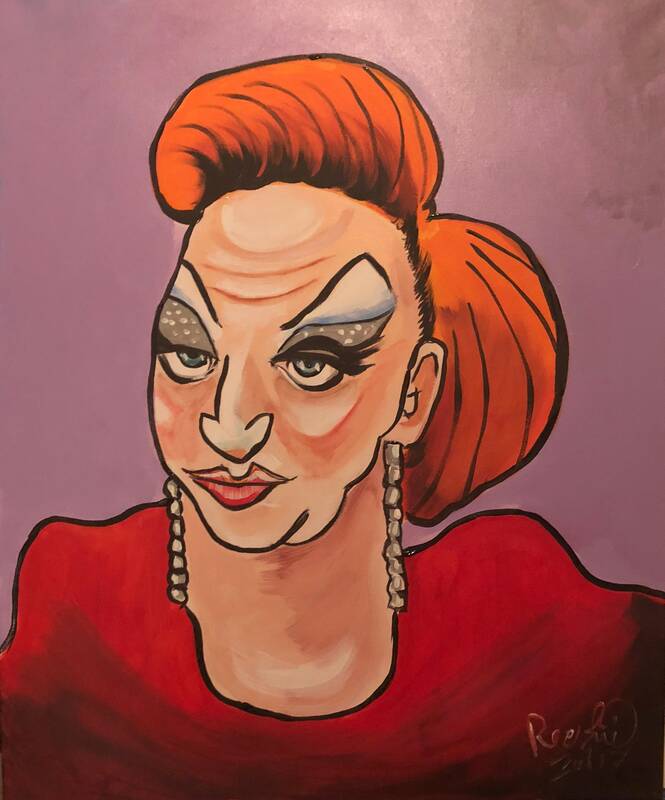 This cartoon of the American actor Divine, the star of John Waters’ “Oink Flamingos” and “Hairspray”, is an original painting by the artist, and not a print or reproduction!